Woodhead Living has started on a £3.37m scheme to build 41 brand new family homes and flats on the site of the former Blue Note pub on Cavendish Road in Carlton. Funding for the new homes, which will be managed by Nottingham Community Housing Association (NCHA), has been provided by Gedling Borough Council (GBC) and the Homes and Communities Agency (HCA). Some homes will be sold as part of a shared ownership scheme, with others being let and managed through NCHA. Designed by CPMG Architects, the properties will be built by local construction company, Robert Woodhead Ltd’s specialist housing arm, Woodhead Living. Work has already started and is expected to complete by Autumn 2017. Allan Fisher, Director of Development at NCHA, said: “Our ongoing partnership with Gedling Borough Council has lead to the transformation of three formerly derelict sites in the local area. This site is our biggest project yet, and marks the start of an exciting new partnership with the Woodhead Group. Woodhead Living will be working hard to ensure as much of the materials, labour and supply chain is sourced locally. The site manager and his team will also be engaging with the local community regularly to keep them informed of the progress, what can be expected, and to give them the opportunity to visit or find out a bit more about the scheme. 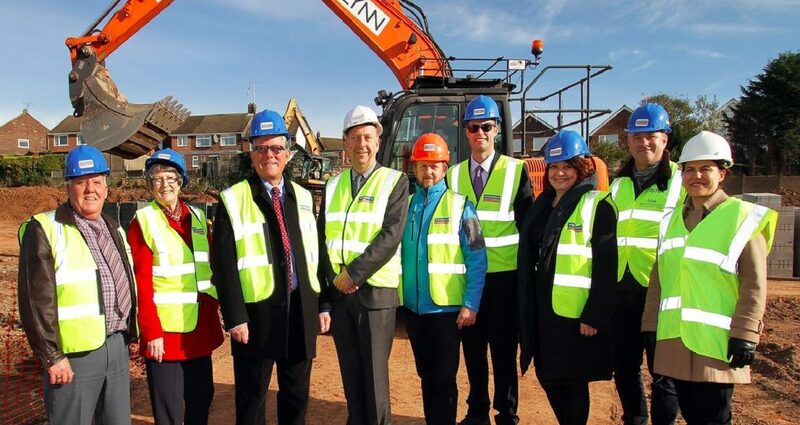 The homes will not only be providing new affordable homes for local people, the project also forms part of a wider scheme in Gedling to tackle long standing empty sites. The HCA provided funding for the scheme as part of its commitment to building new homes across the country. Local residents who are interested in the properties for sale should register at www.ncha.org.uk for more information.